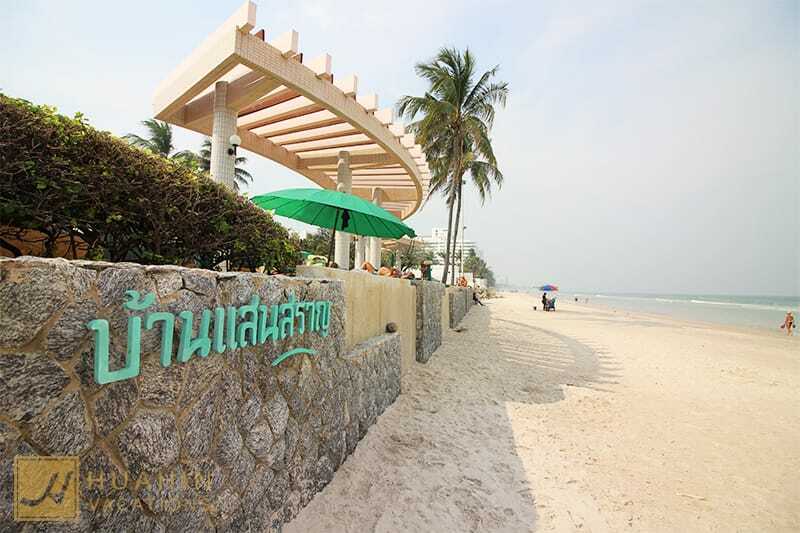 Baan San Saran beachfront condominium is a lovely family condominium and one of the larger condominiums in the center of Hua Hin and includes 3 large swimming pools. The first building is surrounded by big trees and a big swimming pool is near the lobby building where all facilities are located. The middle building is surrounded by a fish pond and a swimming pool and going further inside the condominium area there is another swimming pool on the beach with water slide and kid’s pool. 3 swimming pools and kids pool surrounded by big trees and fish pond. One of the 3 swimming pools allows direct to the white sandy beach. Have a look at the beautiful units we have available at Baan San Saran!